My thanks to Berkley Books for sending me a free copy of this book in exchange for an honest review. All opinions are my own and are not influenced by the publisher. Alice was Theodore’s eldest child and his only child from his first wife, who died shortly after Alice’s birth. Grief-stricken, he sent Alice, whose face reminded him too much of her mother’s, away to live with an aunt for a few years. American Princess follows Alice from this tough beginning to the end of her long life. Thornton explains in the author’s note that she has tried to draw from sources such as Alice’s journal entries as much as possible, and I think she has done remarkable job of bringing Alice to life on the page. Alice was a magnet for scandal but an absolute delight to read about. She bristled at the constraints placed on her due to her status in society as well as her gender, and felt no qualms about scandalizing high society ladies by whipping out a cigarette or cutting her wedding cake with a sword from a nearby military aide. (True story.) But beneath all the swagger there is a vulnerable interior, which Thornton teases out in this novel. While they were close at the time of his death, Alice and her father struggled for years with a stilted, uncomfortable relationship. Thornton explores some of the romances of Alice’s life, but it was watching her come to terms with the alienation from her father at a young age and develop and loving relationship with him that was truly the highlight of the novel. When writing about a real figure’s life, it can be a struggle to make the story fit a nice narrative flow, but I felt that Thornton managed it very well here. 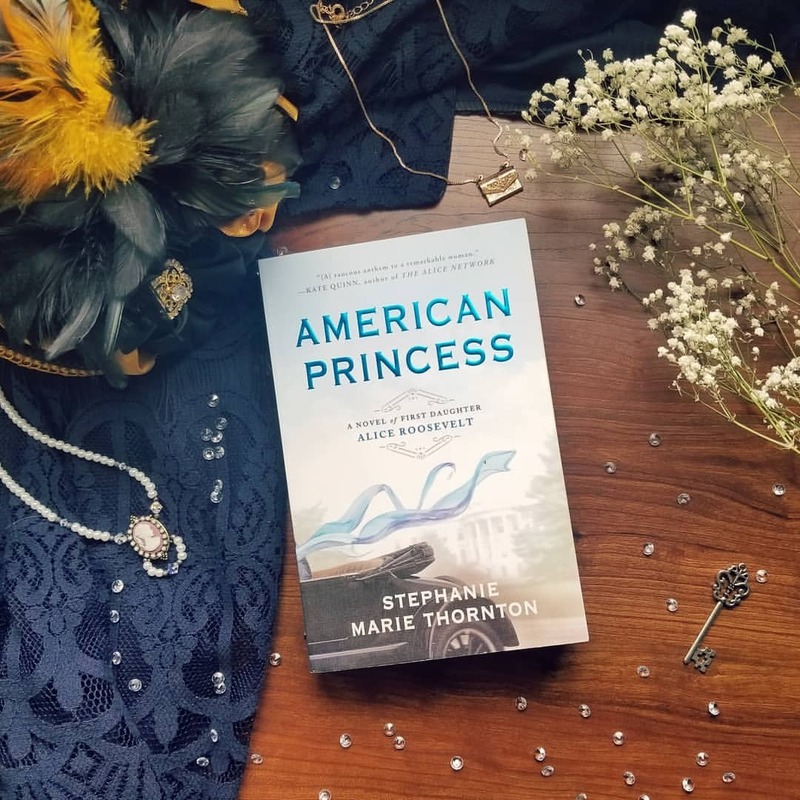 American Princess is a must-read for avid fans of historical fiction featuring interesting and strong female characters! Thank you for reading! What real historical figure would you most love to see as a point of view character in a novel? Let me know in the comments! This sounds really interesting. I’ll have to check it out. Thanks for the review!